FAYETTEVILLE, Ark., Nov. 13, 2018 – The three finalists for the 9th annual Burlsworth Trophy have been selected and include University of California Running Back Patrick Laird, Clemson University Wide Receiver Hunter Renfrow, and University of Wyoming Free Safety Marcus Epps. 70 universities from across the nation nominated a player for the 2018 award. Last week the list was narrowed to 10 semi-finalists. The Burlsworth Trophy is awarded to the most outstanding college football player in America who began his career as a walk on. 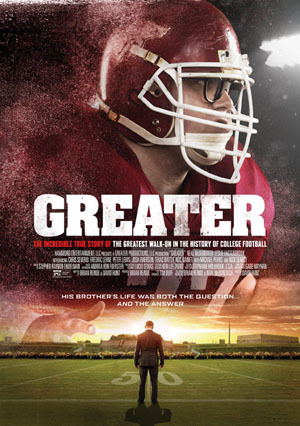 Burlsworth’s life is also the subject of a major motion picture, “GREATER”, which was released nationally in 2016. The 3 finalists will be honored and the winner of the 2018 Burlsworth Trophy will be announced at a ceremony on Monday, December 3 at 12:45pm in Springdale, Ark. hosted by the Brandon Burlsworth Foundation in conjunction with the Springdale Rotary Club. Patrick Laird, University of California, Running Back, SR — Laird, named a Burlsworth semifinalist in 2017, has 771 yards and five touchdowns on 179 carries this season. Laird, 6-foot and 205 pounds, has caught 43 passes for 269 yards and three touchdowns for the Bears over their first 10 games. He is one of 10 finalists for the Senior CLASS Award, presented to the nation’s top student athlete. 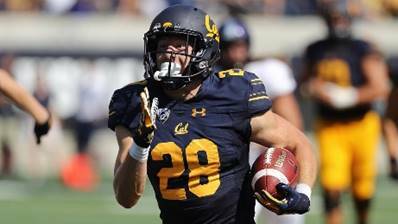 Laird, who was awarded a scholarship prior to the 2017 season, had 241 all-purpose yards in a Cal (6-4) victory against Oregon State. As a junior Laird was an All-Pac-12 selection and first-team Pac-12 All-Academic pick, becoming the 16th player in Cal history to run for 1,000 yards. Laird was considering opportunities at several Ivy League schools when Cal offered him a chance to join the team as a walk-on in 2014. Hunter Renfrow, Clemson University, Wide Receiver, SR — Renfrow has caught 35 passes for 385 yards and a touchdown through 10 games this season for the second-ranked Tigers (10-0). He caught a 17-yard touchdown pass in Clemson’s 49-21 victory against Georgia Tech. Renfrow, who walked on after receiving multiple FCS scholarship offers, but no offers from Division I schools, appeared at wide receiver, punter and quarterback in a victory against Wake Forest. Renfrow, 5-foot-10 and 185 pounds, is averaging 11.0 yards per reception with a long of 40 yards for the second-ranked Tigers and last year was a third-team All-ACC selection. Last season Renfrow caught 60 passes for 602 yards and 3 touchdowns. 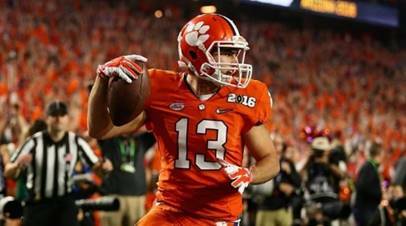 Renfrow, who has four touchdown receptions in two national title game appearances against Alabama, graduated in May with a degree in economics. 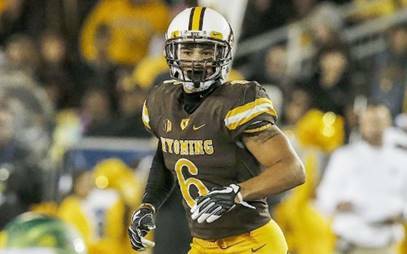 Marcus Epps, University of Wyoming, Free Safety, SR — Epps is among the Cowboys’ team leaders with 51 tackles, including five tackles for loss and five pass breakups through 10 games. He had a season-high eight tackles with a sack against Colorado State, helping Wyoming (4-6) to a 34-21 victory. Epps has started 47 of 48 games since beginning his career as a freshman walk-on and is the first Wyoming player in 122 years to be named a three-time team captain. Epps, 6-foot and 197 pounds, is among the Top 10 in active FBS players with nine career interceptions. Last season he helped Wyoming to an 8-5 record and bowl game appearance as he recorded 68 tackles with 4 interceptions and 7 pass breakups. Epps had no Division I offers as a high school player.